A Pahrump man has been arrested in connection with a hate crime against a black Pahrump resident last month, according to the Nye County Sheriff’s Office. Nye County Sheriff’s Office John Meyers has been charged with a hate crime, the Nye County Sheriff's Office reported. About 9 a.m. Sept. 1, a Nye County Sheriff’s deputy was called to investigate reports of property damage to a Pahrump home on the 1000 block of East Pocahontas Avenue, near Highway 160. When the deputy arrived, he found a racial slur spray-painted in bold, black letters on the resident’s garage door, Nye County Sgt. Adam Tippets said in a news release Saturday. 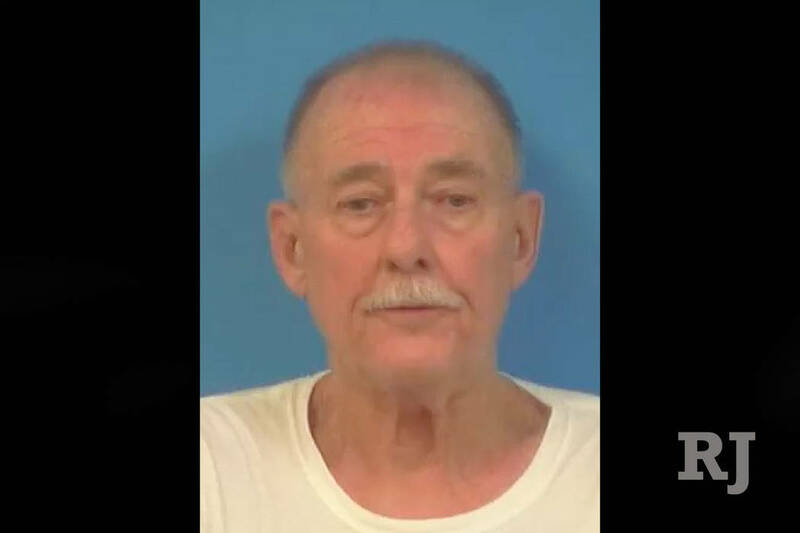 Officials did not specify the racial slur had been painted on the victim’s garage door, but 73-year-old John Meyers, who is white, has been charged with a hate crime. Nearby surveillance cameras show a man, later identified as Meyers, painting the slur on the door, Tippets said. The victims in the case are African-American and for that reason, Meyers was arrested and charged with the hate crime as well as placement of graffiti, Tippets said.